Global soccer icon, Cristiano Ronaldo, has accepted a 23-month suspended prison sentence and €19 million ($21.6 million) fine after pleading guilty in his Spanish tax fraud case on Tuesday. Ronaldo, now playing in Italy for Juventus, faced tax avoidance charges from his time as a player in Spain at Real Madrid. The state prosecutor had accused him of tax fraud from 2011 to 2014 worth around $16.7 million. 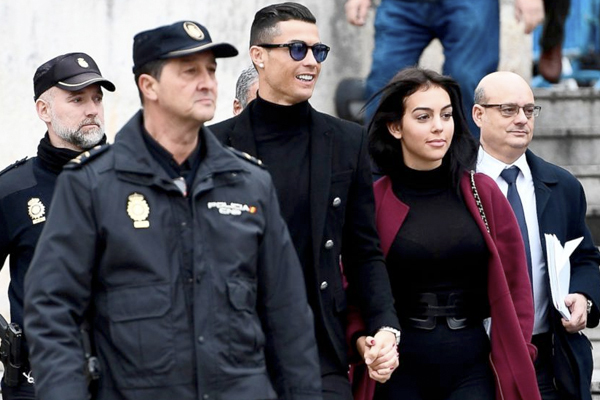 Ronaldo’s court appearance lasted just 15 minutes, as the settlement had been agreed upon at an earlier date.vHe appeared calm and collected outside the courthouse and signed autographs for fans. The 33-year-old is the latest in a long line of La Liga stars punished for tax evasion in Spain. The recent convictions of the high profile soccer players is due to the removal of a tax exemption for players. Cristiano Ronaldo is widely considered to be one of the best soccer players in the world and one of the best of all time, having scored nearly 600 goals throughout his career for Manchester United, Real Madrid and his current team, Juventus.